The One Movers Torrance is a unique moving company in the area having a unique way of moving goods in the desired location. The movers of the company were well trained and they can handle every situation in the relocation process. 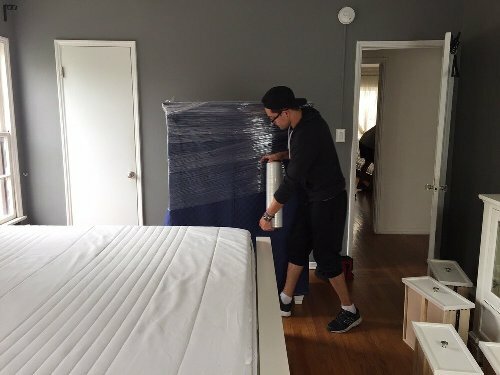 The company is known as one of the top quality movers in the city wherein the employees are very serious about performing their job.The One Movers Torrance a local, secure and friendly company offering full-fledged moving and storage services. The crew members provide hassle-free move and storage without any damage of the valuables. The company makes sure that customer’s move is smooth sailing through their hard work. All the employees are family friendly and best in their job having expertise in handling all the belongings with utmost care and respect. The company truly take care of their customers and always pay proper emphasis on their reviews & feedbacks. And, the movers are highly professional in handling all the valuables properly with utmost care and respect making sure that nothing is getting damaged during the process. Contact the company easily through a call or email and can receive free in-home estimates as per the budget and preferences.